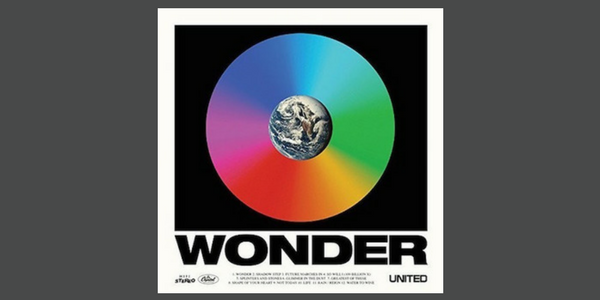 By now, you have likely become fairly familiar with Hillsong United’s newest album, Wonder. (Unless your primary residence is located on a remote island or under an actual rock.) Just a few weeks ago they were teasing us by releasing their single of the same name, and now the full album is FINALLY here in all its glory! If you have never tried this, you should. Basically, I put on my headphones and some good walking shoes, hit “play,” and walk from track one all the way through to the end. The walk acts as a sort of “first date” between me and the music. It allows me to take in every word and every tone. The experience of this kind of aloneness with the music allows me to experience and adopt the new thing that God is doing through the songs. It provides me the opportunity to be in a sea of people…while still being in my own world and in my own head. This album absolutely blew me away lyrically. Every verse, tag, and chorus brings new perspective and anointed verbiage to timeless kingdom truths. The theme, “Wonder,” is brilliantly woven through every single track. I walked down the street, making my way through the disorderly crowds of people, thinking, “Have you ever seen the wonder?” This album beautifully illustrated the gospel truth that I know my city (and every city for that matter) needs to hear. You won’t find any traditional “fast” songs on this album. While “Wonder” and “Not Today” are certainly of the medium-tempo variety, the album spends most of the time diving into the depth of His presence. Without hesitation, I can say that “So Will I (100 Billion X)” is my absolute favorite track, and it appears that my fellow listeners agree with me as the song has already reached 1.5 million listens on Spotify. As a worshiper, I identify with the wonder that is our Heavenly Father, the Creator of one hundred billion galaxies. The time alone with this album allowed for God to broaden my view of things that He has been speaking to me. It’s crazy to think that some of the very things that God has been dealing with my heart on are in this album, that the work that God is doing in every individual member of his kingdom, He is also sowing it into His kingdom as a whole. Hannah and her husband, Cody, live in Petersburg, Virginia. When she is not playing keys for her church or serving in their youth ministry, she is usually hanging out at a coffee shop and writing. She is a firm believer in the power of caffeine and the life-changing love of Jesus and is passionate about empowering others in their kingdom call.